It's getting to be that time. 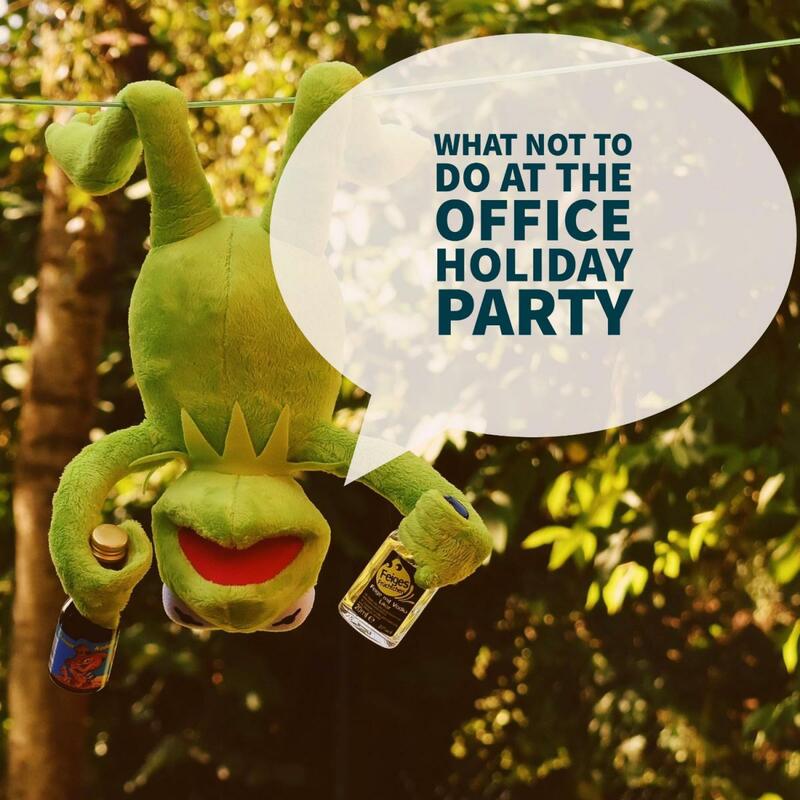 If you work for a company, there's a likely chance you'll be attending some type of a holiday party outside of work with a bunch of coworkers and your boss(es). While it could be nice getting to know these people outside of the work setting, there can be some dire consequences if you mess it up. Think about it. These are the people you see Monday through Friday for eight hours every day. Whatever mishap you make is chiseled in office stone for eternity. Here's what not to do at one of these things. 1. Drink too much - This is the most important. Drinking too much always seems to be a catalyst for bad decisions. Doing it around your friends is one thing. Mixing it with work can be dangerous territory. A good rule of thumb is to drink at least slightly slower than your boss, unless he is a fish. 2. Tell anyone how you really feel - As much of a deep, drunken, personal connection it seems like you're having, resist that urge to divulge your true feelings about anything in the office. The last thing you want is to wake up in the morning with a vague memory of giving your boss an impassioned critical analysis of his weekly meetings. 3. Karaoke - Karaoke's bad enough already. You can think you sang amazing, belted it out like a bonafide diva, but, in the end, it's still karaoke, and now everyone has something to joke about around the water cooler. If everyone's doing it, cool. Otherwise, save the singing for alone time in the shower. 4. Flirt - Just, no. How can it end well? Maybe you do hit it off. Cool! Maybe it even turns into a little dating kind of thing. Cool! Then it inevitably ends and you have to see this person every weekday for the rest of your career at this place. Awkward! And worse, if you're coming on to them and they're just obviously not feeling it, you get to see that face, the one that coldly rejected your drunken advances, bright and early every Monday through Friday. This also means no flirting with coworkers dates, spouses, or children. Have fun with that. 5. Enforce the mistletoe rule - Kissing under the mistletoe is great, after all it is a bonus to the holidays. However, this does not apply to company parties so refrain from kissing the boss, interns, and coworkers. This also means do not wear a mistletoe headband because that can cause problems. 6. Stay too late - No matter how much fun you may be having, do not overstay your welcome. Stay long enough to mingle with your bosses and coworkers to make your presence. With drinking, staying too long can create added opportunities for things to happen that you wish didn't occur. Remember, you can always meet up with your friends after the company party if you want to continue your evening.